Last week, we got a glimpse at the uniforms that the ladies will be wearing in the Ghostbusters reboot. 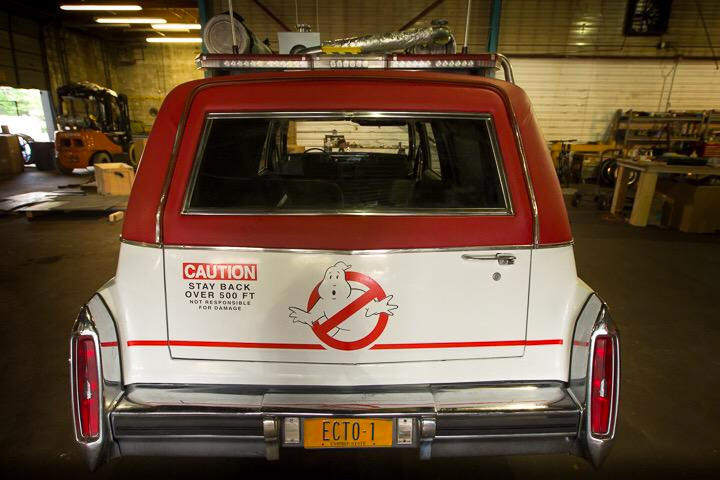 Now, director Paul Feig has posted images of another iconic prop which is getting a revamp. 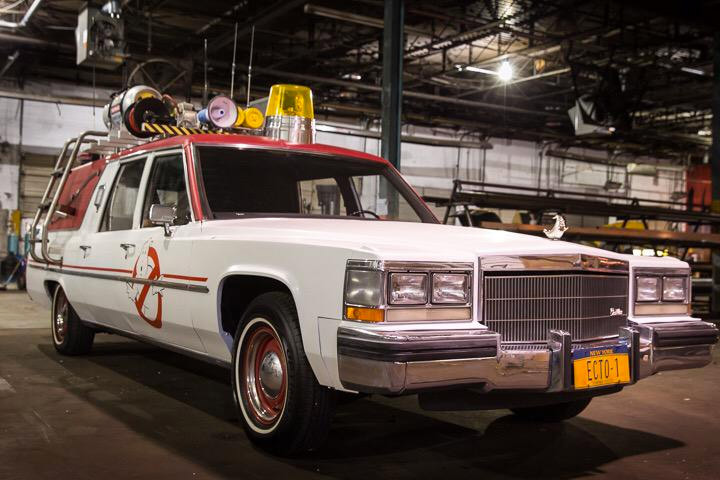 Feig tweeted out a couple of pics of the new Ecto-1, the Ghostbusters’ vehicle, along with the hashtag #whattheygonnadrive. Like the original, the new Ecto-1 got its start as a Cadillac hearse, though this one isn’t quite as dramatic as the 1959 Cadillac Professional that we know and love. Still, it’s got a variety of funky pseudoscientific gear on the roof, and should do fine busting ghosts. It also appears to be a 1984 Caddy, which is a nice little tribute to the original film. What do you guys think of the new Ecto-1?